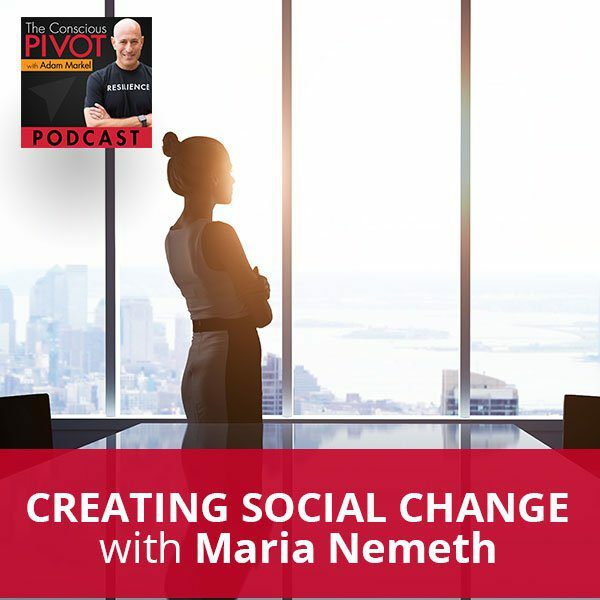 Maria Nemeth helps purpose-driven people everywhere see their greatness and bring it to life. Maria is a lifelong agent for social change. She believes in the great creative opportunity represented by change and our ability to embrace it. Maria is the author of two highly acclaimed books, both of which give people an immediate way to begin putting success principles into practice in their lives. An expert in leadership excellence, personal and professional development and financial empowerment, Maria is the founder and director of the Academy for Coaching Excellence which works in the nonprofit, profit and government sectors. Maria talks about social change, the concept behind her books, and stepping out and choosing how we’re going to live our lives. I am so blessed to be with you. As every day I got to wake up, there is no guarantee that will happen every day. It is truly a cause for celebration and I am in celebration mode. As I sit here, I get to be with all of you. I get to say what is on my heart. What’s in my heart is to be grateful and to remind myself how important each and every day is to be in gratitude. To start the day off that way, it needs some getting off on the right foot. I feel lucky that we get to have this opportunity to meet with somebody, to speak to someone. I get to have a conversation with her. She is a remarkable woman. I was introduced through a mutual friend. I was so impressed with her as a human being. I invited her to be on the show, so she could share some of her wisdom with all of you, the depth of her own pivot journey. We’re all on a journey of a kind. Those pivots in the journey can be painful. Sometimes they can be joyous. It is intended for our growth. Every part of it is required. It’s something that we can appreciate and be grateful for, especially if we’re able to utilize it. That’s the key to me and that’s why we named this show The Conscious PIVOT Podcast. It’s not about the pivots in our lives, but the way that we use them on a conscious level to advance. It’s an evolutionary process. None of it is random in my opinion anyway, and none of it is without its purpose. It may not be what we want at the moment. Change is something that sometimes we don’t necessarily want to embrace, but all of it is profoundly important, not to us individually, but to our world. Maria Nemeth helps purpose-driven people everywhere see their greatness and bring it all to life. As Founder and Director of the Academy for Coaching Excellence, she has trained thousands of people worldwide in the nonprofit space and in government sectors as well. She’s an expert in leadership excellence, personal/professional development, and financial empowerment. Her work has been featured on the Oprah Winfrey show among others. She’s a lifelong agent for social change. Maria has contributed to the areas such as civil rights, racial justice, women’s empowerment, health and human services, LGBTQ rights, and climate justice. She is also the author of two highly acclaimed books. The Energy of Money, available in five languages and its follow-up, Mastering Life’s Energies, both of which have given people everywhere a way to begin putting success principles into immediate practice in their lives. It’s a beautiful explanation of some of the work that you’ve been committed to for so many years, Maria. Welcome to the show. Thank you for being with us. The pivot points in our lives can be sometimes happy ones, sometimes difficult ones. I’m a Clinical Psychologist as well as a Master Certified Coach. I have been in the human service field supporting people as a psychologist, as a coach, and as a trainer. It’s interesting, Adam, to wake up and think about all the time that we put into something. Sometimes I love to throw my age around because if I get a comment from somebody, “How do you know these things, Maria?” or “Where do you get off telling us something?” I can say as some of my mentors used to say to me, “How old are you?” I’ve been doing this since before you were born and not always, but sometimes it stops the conversation, or we can laugh about it because that whole thing is relative. The physical age is one thing and the mental age is another thing. Emotional age is yet another thing. Maybe there’s even something like spiritual age. Our physical age is not always the indicator of how mature we are, of how much wisdom we’ve gained, or what value we have to share. It goes both ways. The people that are younger sometimes aren’t taking this seriously as they ought to be. Millennials are getting a bit of a bad rap these days. I don’t know exactly why that is. I have two daughters. We have four kids, but two of them are not children anymore. They’re beautiful young women in their heels and they’re impeccable. I see how they are showing up in the world and what people say to us about the work they’re doing and who they are as people. Some of the things that are said about millennials, whatever those things are, I won’t even repeat them. They are a broad generalization and highly inaccurate in ways. The way that seniors or people that are in their 50s, 60s, 70s, 80s, and 90s have been treated forever. Seniors have been marginalized in many ways in our society for so long. It’s not even a matter of right or wrong, it’s wasteful. The whole thing that we talked about pivot is that nothing goes to waste. It’s what’s beautiful about our pivots in life. It changes lives and they are useful. I’ve done, as part of my last years of work, a lot of it inside hotel rooms, in hotel space doing seminars and trainings. It’s on the three days side to the five or seven days side and I couldn’t agree with you more that in those training environments, people come in their own headspace. We create a heart space and there’s a context. Within hours, there’s almost no difference between their ages. We’ve got kids, teenagers, millennials, and people in there and into their 90s as well at times. It’s such a community where the differences that you see more out in the world don’t exist necessarily in that space. It is a special environment. Yogananda said, “Environment is stronger than will.” Creating an environment and what an environment creates is so important. Would you agree? Social Change: We have the ability to choose how we’re going to live our lives. The question becomes how do we gain some tools to be able to make it happen. It’s true. George Bernard Shaw said, “There are many people who wait for the right circumstance before they take action. The people who are successful, if they don’t find the circumstance, they just go out and create it.” While the environment is a big factor, sometimes it’s just stepping out and seeing that you can create your own environment. That has been one of the single most empowering aspects of work that has been done over the past ten, fifteen years, seeing that we do have the ability to choose how we’re going to live our lives. The question becomes, “How do we gain some tools to be able to make it happen, so that we’re not frustrated all the time?” We see it. We see where we want to go and we have tools to take us there. A lot has been done over the past few years in empowerment and building in a neurophysiological base, for example, that shows that we can change how our brain works. You inspired me to pick up a book that’s sitting on my desk. I confer with it each night before I go to sleep. It’s this old book that was written in maybe ’71 or ’72. Og Mandino’s The Greatest Salesman in the World. He had written so many, like The Greatest Miracle in the World. What I love in one section is this quote where he says, “Weak is he who permits his thoughts to control his actions. Strong is she who forces her actions to control her thoughts.” It is important that we empower ourselves to take action. People have heard this many times, action in spite of fear and all that stuff. The idea that cultivating good thoughts is crucial to be the guardian at the gate of your mind is everything. I learned so much from Emmet Fox’s work and spend so much time in that process of cultivating better thoughts yet it’s actions that create thoughts often. When we want to break free of something that’s a pattern, interrupt a pattern, or a habitual way of seeing the world, whether it’s to see it with eyes that complain or with eyes that are looking at what’s missing or eyes that are seeing the world through a lens of regret or fear about the future. We want to be able to think in a more empowered way, to think more righteously. However, action can be a catalyst for new thoughts, for better thoughts, for thoughts that are outside of the box. It’s not necessarily about thinking outside of the box at all, it’s acting outside of the box, which then creates new thinking that didn’t exist before. One of the people I have been studying quite at length is Wallace Wattles, who wrote the book, The Science of Getting Rich. In chapter eleven, he says, “By thought, your vision is brought toward you, but by action you receive it.” There are so many great metaphysical teachers whose dreams land on a shipwreck in life because they are waiting to take action, whereas thought and action are both together. They have to be together. We see this in the teachings of other people. For example, Mother Teresa, one of her chief mottoes was, “Love in action.” It’s always in a visionary or metaphysical reality. We have a thought, but it has to be married with action in physical reality. In that bridge between metaphysical and physical reality is what we would call the meaningful life, living life in accordance with what’s important to you, what you love, rather than waiting for what you love to show up and then, you’ll live into it. We were talking about the way the brain is wired and I’d love to have you share some of those thoughts. Then, we’re going to dig into the pivot story of yours. It was when I was getting my PhD at UCLA in psychology, one of my sub-specialties was neurophysiology. I became interested in how the brain works many years ago. The latest research is so interesting because we’ve discovered that our brains hasn’t changed much in over 100,000 years. The only way the brain changed between 7,000 and 9,000 years ago is that we started having blue eyes, but other than that, our brain is essentially the same brain that has been around for 100,000 years. To look at it from that vantage point gives us a certain way of looking at how we react in life. Let’s pretend that you and I were living in a cave a 100,000 years ago and we were buddies. We decided that we’re going to go out and get some breakfast. When we leave the cave together to go outside for some breakfast and we’re standing into the opening of the cave. What’s the first thing our brain is going to start looking for? Probably something growing on the ground or on a bush. Even before that, our brain will start looking for danger, a predator. We didn’t have things, we didn’t have fur, and we weren’t as robust as animals, but we did have a brain that could look for danger and plan for danger. Many neurophysiologists, now, are beginning to see that our brain is wired for danger, wired immediately to look at what is wrong with a situation, where there’s a predator, where I’m going to get hurt. When we see that, the great thing about that is we see that our doubts and worries are absolutely normal. Meaning most of us have them. It’s natural meaning we don’t have to be trained in order to have these doubts and worries so we can relax. If you and I have a doubt, a worry, or are scared, it means that we have a well-functioning brain. There was a woman many years ago and they wrote about her. She was born without an amygdala. The amygdala is that part of the brain that’s always concerned with fight, flight or freeze. She was never afraid. People had to look out for her because she’d walk into situations without checking things out and she could get herself into a lot of trouble. Number one, our fear is normal and natural. Number two, we have the ability to shape our brain. We have the ability to decommission those aspects of our brain that no longer interest us and build new synaptic pathways for things that do interest us. How are we going to learn to create these new synaptic pathways? That’s what a lot of your work is up to. I know that’s a lot of what I’ve been working on for the past long period of time. When people hear this about themselves and the brain, they relax because they see there’s nothing wrong. If you had a brain that was not wired for danger, you might get in trouble. You might not react to a situation in which you needed to plan for danger. Fear has a very important place. Where’s the appropriate place for fear for each of us? Sometimes I’ll describe it as we’re driving in the car and fear is in the car with us, which it is and it’s with us all the time. Is that fear of driving the car? Is it in the front seat holding the map back in the day when there was a map? Is it programming the GPS? Where is it in the car? Asking that question is both an acknowledgment of the fact that fear belongs there. It’s healthy for us to look twice before we step out into the street, to oncoming traffic, etc. We both have a good chunk of our work in this area of how it is that we are able to see the fear in a way that empowers us to not be stopped by it, when we don’t want to be stopped by it. That’s both a more conscious response to it as well as recognizing there’s an unconscious programming and wiring those neuropathways which have been set long ago. That goes back to the reptilian brain and the way it’s wired to keep us safe. What do you do about it? It’s not driving the car. I don’t want fear to be behind the wheel. I don’t want fear to be even programming the destination for me in my life. It’s got to be in there. It’s maybe sitting in the backseat, It chirps up here and there. It does a little backseat driving from time to time and that helps. Any thoughts that you want to share with our readers wherever they are potentially now, walking outside, on a treadmill or maybe they’re at the office, etc. That’s the first thing we’ve heard from you, Maria. That’s helpful that we know that because you have thoughts of fear doesn’t mean there’s anything wrong with you or the way your brain is wired, but that you can decommission certain parts of your brain. Share a little bit about that. That would be important for people to know of what that’s about. Decommissioning is so simple. Let me set the context. You’ve probably seen the movie A Brilliant Mind. In that movie, it’s about a man who was brilliant, a paranoidschizophrenic. He had hallucinations. Part of the movie had to do with how he could control his reaction to the hallucinations. This is important because the hallucinations didn’t necessarily go away. It was how interested he became in them, decommissioning his interest. At the end of the movie, he looks in a corner of this hall where he’s giving this speech. He sees the hallucinations, the man, his little girl, and he simply turns away from them and begins to take his wife out to dinner. It’s the turning away from it, that’s the refocus of your attention. What we might look at is what is more interesting to me? For example, I want to be known, to talk about a vulnerable time in life. I remember when I was 60 and having my birthday cappuccino with myself. I was thinking about all my issues. I got this notion of what do I want to be known for on my tombstone. Do I want it to write, “Here lies Maria. She had issues?” It wasn’t true. “Here lies Maria. She loved us, and we loved her. Life was a little better place because she was in it.” That’s what I want. I’ve come to see over the years, that that’s what all of us want. Social Change: We have the ability to decommission those aspects of our brain that no longer interest us and build new synaptic pathways for things that do interest us. We want to know that we’ve made a difference and that life was a little bit better because we were there. The question becomes, what do you then focus on? One thing you can focus on if you’re willing to shift the focus of your attention, which doesn’t change anything, anytime you try to change how you think, how you think becomes more embedded because you’re focusing on it. When you shift the focus of your attention, how do I want to be known? For example, life’s intentions. I have something called a life’s intentions inventory. It is that something that I want to contribute, to be a contributor to my community, to be a loving family member, to be physically fit and healthy, to be spiritually developing. There are many of these life’s intentions. If I were to simply focus on one or two of them, how might someone who is going to be a loving family member act right here and right now? I’m shifting. I’m not listening to my doubts and fears. They are less interesting to me because you and I will be known for that upon which we focused our attention. If I focus my attention on my issues, my dilemmas, my problems, my fears, that’s what’s going to be on my tombstone or for this figure figuratively. If I’m willing to make a contribution to do something with my life, then the journey begins like it did with Buckminster Fuller. He was almost about to commit suicide because he was so depressed with how his life turned out. He was about to drown himself. At that moment, he said, “My life is already a throwaway life, so I’m not going to even focus on my life. I’m dead to me.” Given all that, what am I willing to focus upon? Out of that came some of his most brilliant inventions and ways of making a difference for others because he wasn’t paying attention to himself. What you’re saying is profound in its simplicity in many ways in that where we put our focus is everything. It could be the first and the last chapter of every book on achievement, success, how to parent, or how to live because it’s where our energy ends up going, where our focus goes. It carries our energy there as well and that can’t help but produce some result, some consequence. Yes, it’s fundamental and yet it is profound at the same time. I don’t think we can stress it enough, but I loved how you drew in the example of Bucky Fuller. When he did feel as though his life had run upon the rocks and was, for all intents and purposes, over or dead, changing the focus for himself where he was looking outside of himself gave him a new life, gave him a new future. He became a futurist, the geodesic dome, the thing that Epcot Center, that’s Bucky Fuller’s work and so much work beyond that. That wouldn’t have existed if he had taken his life, but even if he hadn’t taken his life, he hadn’t changed his focus where he was looking. He was looking inward again, “What’s wrong with me?” Why change in me and all that inward focus. He might not have changed the world the way he did. It’s part of our body of work. That’s a pivot, a change in direction of where we’re looking, our focus is a pivot. Part of what I believe is the foundation of our work is that it doesn’t have to be a very sweeping large change in the focus or doing a 180-degree change in what we’re looking at, to create some significant movement. It’s a tiny change. It could be a one-degree change or a two-degree change in where we’re looking, or our focus at the moment, that over time. If we take a straight line and then on the end of any one of that line, we simply changed the direction by a degree, even one degree. It doesn’t look much at the time. It’s not much at the time, but then, over time you see that those two lines diverge, and they continue to diverge. They never come. There are no straight lines in the universe anyway we know. There’ll be other things happening, but those lines diverge, and they move further and further apart until six months later, two years later, or twenty years later, you could hardly know that they ever started in the same place. The idea that change is profound is the essence of the pivot. When we want to change something, or we are thrusting to change, there’s a great creative opportunity. That’s a change of how you see, what you see is. Are you curious about it, for example? Is it something that you give a different label or that you’re in fear of? That creative opportunity that presents itself when we’re thrusting to change or there’s an opportunity for us to be more deliberate and designed focused when we’re wanting to change certain things. That’s a great area of curiosity for me and for our community. I would love it if you would lead us through one of the changes in your life, a pivot point or story. We’d love to get a sense of what you gained from that process that may have been tough. It was very tough. I loaned someone $35,000 on an unsecured promissory note. An unsecured promissory note is not worth anything because it’s something that says, “You’re giving me this money and if I don’t pay it back, there’s no recourse.” I loaned the money to someone who I had only known for about three months. I borrowed the $35,000 from a family member at 10.5% interest because the man to whom I gave this money said that I would earn 32% on my investment. He was going to invest the money for me. It was a Ponzi scheme. It’s one of those schemes like Bernie Madoff where you’re investing, but you lose all the money in. I did lose all the money. I remember that as I was signing that check over to this man, the $35,000, because I didn’t want him to cash it for more, this little voice of wisdom inside of me was saying, “Maria, this is too good to be true,” but I didn’t listen. I was like, “This is a way to make money.” I was so excited. Even my family members and my colleagues said, “Don’t do this,” because I talked to them about it. I did it and lost the money. Instead of facing it, I ran psychologically into my office. I began seeing more clients, families, and groups because I wanted to make this money up as quickly as possible. I wanted to be done with it. Not even looking at what the lesson is for me. About three months into this, I wasn’t speaking to my family members or my friends at all. If they asked me what had happened, I changed the subject quickly. It was clear that I wasn’t learning anything from this. One thing that happens when you don’t learn from your lessons is that they come after you. That’s what happened. Three months later, I got a call from The Sacramento Bee and there was this woman saying, “Dr. Nemeth, your name was given to us from UC Davis.” At that time, I was an Associate Clinical Professor of psychiatry. She said, “You’re well known in the community. We need to ask a question that’s been bothering us in our community.” I remember getting all filled with my professional self. I said, “Yes, I’d be very happy to talk with you.” It’s amazing when you don’t see the lessons that are about to hit you. She said, “Dr. Nemeth, a lot of the people in Sacramento have been taken by this Ponzi scheme. We need to know from someone of your stature, what kind of a person gets taken by those schemes? What’s wrong with them? Do they have unresolved issues?” She was talking about me because I had been taken by that same scheme. That was the moment when I shifted the focus of my attention. I remember thinking to myself, “I may as well just tell the truth and let her know,” because if someone else can avoid doing what I did, I would have made a difference. Social Change: When you don’t learn from your lessons, they come after you. I told her the truth. I said, “I was one of the people who was taken by that Ponzi scheme.” I started telling her about how I lost $35,000, I was ashamed and embarrassed.” To her credit, she did try to shut me up. She said, “Dr. Nemeth, I’m writing an article about this,” and I told her, “You might as well say all this because it can be a contribution to someone else,” so she did. It was in the paper, The Sacramento Bee. Dr. Maria Nemeth lost $35,000 to this Ponzi scheme. My friends, colleagues, and relatives called me. They didn’t ask me why I had done it. What happened was they started talking with me about their own relationship with money. I discovered that no matter how much or how little money people had, the story was always the same. They were disempowered. There was one woman who was a multimillionaire. She said, “Maria, every time one of my daughters calls me, I don’t think it’s because she loves me. It’s because she just wants more money.” There was one real estate mogul in Sacramento who said to me anonymously, “I don’t want people to know how little money I have because I’ve spend it as quickly as I make it.” I decided then to start a seminar called You and Money, for me to heal my own relationship with money. That old saying if you want to learn something, teach it. That was years ago and that’s how the journey began doing the You and Money course, then, The Energy of Money course, and I wrote that book. I wrote Mastering Life’s Energies as well. People were coming to me and saying, “Maria, you’ve been coaching people.” This was even before coaching was popular back. If you thought of a coach, it was like a singing coach or a sports coach. I taught people coaching that I had begun to pick up along the way, studying with people that I considered to be masters. 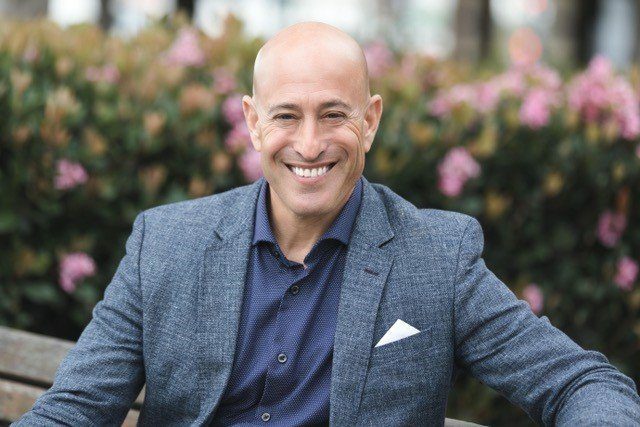 We opened the Academy for Coaching Excellence because the bottom line is, I see as a psychologist that coaching is as important and powerful as psychotherapy and coaches still do not get enough training to work with their clients. In order for me to get my PhD to practice therapy, I had to put in 3,000 hours. I decided that I wanted to throw my hat into the ring and give coaches as rigorous training as possible so that they would learn where to coach and where to refer. Over the years, the coaches from our academy who had been rigorously trained, these are coaches who are earning the most money because they know that as a coach, they have a fiduciary obligation with their client to first do no harm. Second, is to provide a space for the client to see their goals and dreams in life. It was mortifying to go through losing that money, but if I hadn’t lost it now, in retrospect, I might not even be here talking to you. One of those amazing opportunities that don’t always come wrapped in a bow that says, “I’m an amazing opportunity.” Surely, there was a grieving process for you for some length of time. It was like, “What did I learn?” That gave impetus to develop this seminar. I told twenty-two of my friends, “Come with me in this seminar that I’m going to develop because I need it. I promise you we’ll all have breakthroughs,” and we did because we were willing to ask ourselves difficult questions when it came to money, to unpack everything that had us making the money decisions that we had made. Once you unpack them and look at them, you can say to yourself, “Have I had enough of doing it this way? Is there something else I’m more interested in focusing upon?” In talking with you, I’m realizing this now, that for the past years I’ve been teaching people to shift the focus of their attention, didn’t call it that in those days, but nowadays we do call it that. I appreciate and know that our readers are appreciating your vulnerability and honesty about it because when we lose money or make poor decisions around money, there is a lot of shame. There’s a lot of feeling of self-loathing that comes up and judgment of ourselves, as well as the judgment of maybe somebody that got involved in taking the money from us, but we were the willing participants. Very rarely is it a gun to the head. Robbery is one thing, but poor investing and investing in people that weren’t trustworthy or the ones who violated our trust. It’s a very much personal thing, somebody that we ourselves are responsible for. If you have a shift of focus in your relationship with money, it will affect your whole life. Money is just a form of energy, but how you relate to it, how you use it to either invest in goals and dreams or wasting it, it talks to you about your life. There are six forms of energy that we’re here to use in life. There’s money, the energy of time, the energy of physical vitality, the energy of creativity, the energy of enjoyment, and then, the energy of relationship. Of all the energies, if you look at money first, that’s where you’re going to have a breakthrough that affects all the other energies. The Energy of Money was your first book. How long has that book been out approximately? It has been out since 1999. That’s in five languages and Mastering Life’s Energies was the follow-up book. You said earlier that our audience could enroll as an assessment of some kind. If you go on to AceCoachTraining.com/blueprint, you’ll get something called Your Life’s Blueprint. It’s a way of not only seeing what’s important to you but having you discern various ways of bringing what’s important to you into physical reality. It’s something that people love. It’s easy and simple. The last question has to do with rituals, practices, and things that help you to change your focus, to shift what you’re looking at in a moment where you’re feeling disempowered. Do you have rituals for that? One is meditation. I follow Paramahansa Yogananda. I study him and meditate. I also read things that are very important, and this is the Wallace Wattles’ challenge I wanted to talk with people about. Wallace Wattles writes this book in 1910, The Science of Getting Rich, which arguably is “the book” that has affected all the thinkers in the 20th century like Napoleon Hill and W. Clement Stone. I will stick by it. If you read his book especially chapters four, seven, eleven and fourteen, they’re short. Read them every day for 90 days and if you miss a day, you start over. That’s the challenge. About three or four times a year, we launch from the academy, the official Wallace Wattles’ Challenge in which I read parts of the book and it’s for free. It will shift your focus of attention. I promise you. Maria, thank you so much. I appreciate you being a guest on the show. I’ve personally enjoyed the conversation, I’m sure everybody loved your energy as well. We’re part of a group called TLC. There’s a lady that’s also a member there, Lynne Twist, who wrote The Soul of Money. For every one of you, I wish a prayer that you wake up tomorrow. That I wake up and you wake up, Maria. That is both the physical waking up as well as this metaphoric one, that we wake ourselves up a little more each day. Praise a little bit more because it’s in that higher consciousness that we’ll get to serve, find out more and be able to serve at a higher level. Three parts to our ritual for waking tomorrow. First, wake up. In that moment that you realize, “Yes, I am awake now.” Taking that first deep breath. Recognize too that there are people who will be taking their very last breath at that moment, and babies being born that are taking their first breath. It’s a sacred moment, special, no accident at all that you are getting that breath. The question is, what is your assignment at that moment? Ask yourself. I sit in bed for a few moments. I do this every day. Waking up, I realize how special that is. I’m grateful so I cultivate that feeling of being grateful for the breath and for all it means, including the assignment that I have for the day and maybe from lucky days beyond. Declare out loud, I love my life, I love my life, I love my life. I wish you all a beautiful rest of your day, evening, morning or afternoon, wherever you are in the moment. Be in gratitude for that. It is a blessing to have you be part of our community. If you’ve not yet subscribed to the podcast, you can go to AdamMarkel.com and subscribe. Please leave a review. We love the feedback. I love the reviews on iTunes. Please do that as well. Our Facebook community is growing. We’d love to have you be part of it. It’s magnificent. It’s the Start My Pivot Community on Facebook and you can get there by going to PivotFB.com. Maria, it’s been a pleasure. Thanks you so much again for being on the show. You are such a gift, Adam. Thank you. I’m very grateful that you asked me to be here. Maria Nemeth, PhD, MCC, helps purpose-driven people everywhere see their greatness and bring it all to life. Designed and refined over decades of work with people all over the world, her Luminous Life Method™ turns timeless wisdom into practical skills that have helped tens of thousands to live and serve with clarity, focus, ease, and grace. As Founder and Director of the Academy for Coaching Excellence, she has trained thousands of people worldwide in the nonprofit, for-profit, and governmental sectors. She is an expert in leadership excellence, personal/professional development, and financial empowerment, whose work has been featured on The Oprah Winfrey Show. A lifelong agent of social change, Maria has contributed in areas such as civil rights, racial justice, women’s empowerment, health & human services, LGBTQ rights, and climate justice. Maria is the author of two highly-acclaimed books: The Energy of Money, available in five languages, and its follow-up, Mastering Life’s Energies, both of which have given people everywhere a way to begin putting success principles into immediate practice in their lives.